Puerto Rico News: Cryptocurrency Update: "This understanding, which sees central banks, oversight and regulation as a form of oppression, offers a hint about one of the potential functions of cryptocurrency: its capacity to disrupt the state’s role in finance." Cryptocurrency Update: "This understanding, which sees central banks, oversight and regulation as a form of oppression, offers a hint about one of the potential functions of cryptocurrency: its capacity to disrupt the state’s role in finance." Right now, terminology being embraced in the world of cryptocurrency places the technology in opposition to states. Who in the liberal West, for example, would support "censorship"? But "censorship resistance" in the cryptocurrency world means, essentially, opposition to cryptocurrency-based financial transaction, including action by law enforcement or regulators. This understanding, which sees central banks, oversight and regulation as a form of oppression, offers a hint about one of the potential functions of cryptocurrency: its capacity to disrupt the state’s role in finance. There is a race on to harness the value of cryptocurrency. Individuals want to make fortunes. Start-ups want to grow. Financial services companies don't want to be left behind. But there are others in this space too. Nation states. And some of these nation states are attracted to the technology not simply to innovate their economies but, potentially, as a way to challenge Western power in the financial and economic sphere. Venezuela recently instituted an oil-backed cryptocurrency with the idea of getting around Western sanctions. The technology was reportedly designed and implemented by Russian engineers – which shouldn’t be surprising. Russian President Vladimir Putin has made no secret of his desire to "combat the excessive dominance of a limited number of reserve currencies” particularly through the BRICs grouping (the major emerging national economies of Brazil, Russia, India, China and South Africa). "We’re seeing Russia and China put in place some pieces of what it would take to develop an alternative banking funds transfer system, through digital currency/blockchain tech," said Yaya Fanusie, the director of analysis for the Foundation for Defense of Democracies’ Centre on Sanctions and Illicit Finance in Washington. To understand what effect this could have, it means that economic sanctions used against terrorists, rogue states like North Korea, and war criminals would lose their effectiveness. In turn, authoritarian kleptocracies would increasingly be emboldened and capable of driving events. For cryptocurrency to underpin an alt-global trading system, a key issue will be the degree to which the currency is decentralised, or not overseen by a single authority, Fanusie says. Some cryptocurrency activists believe a decentralised currency will free people from the oppressive effects of monetary policy, inflation, or central banking regulations and oversight. Others repeat the rhetoric but show a willingness to accept regulatory oversight. As cryptocurrencies develop and mature, there is a trend for them to co-operate with government bodies charged with fighting terrorism finance or corruption, while preserving the benefits of a digital currency. One currency exchange, Shapeshift, founded in 2014, had previously "struggled" with requiring private data from users. Last year, however, it announced the information in order to adhere to anti-money laundering requirements from governments. The move comes as the US Department of Justice issues indictments of hackers who use cryptocurrency to fund malicious activity, or launder funds. Within the crypto world, the decentralisation purists form a smaller subset of activists and entrepreneurs, but they, Fanusie says, “are totally committed to the purist vision and all the disruption and revolution it implies. When you consider that cryptocurrency, like online propaganda, is at a certain level, just networked information on the internet, an immediate question is how an emergent underground cryptocurrency in the West would interact with an authoritarian cryptocurrency-based global financial system. In order for countries like China, Russia or Iran to use blockchain or cryptocurrency to create a parallel global digital currency system, many things would have to fall in place, says Fanusie. On one side, they would “need an alternative that is faster, quicker, and more secure than SWIFT” (the Society for Worldwide Interbank Financial Telecommunication, the current global banking communication system). On the other, there would need to be a big crisis that triggers the collapse of the dollar. Something along the lines of the 2008 global financial crisis – or worse. While these events haven’t occurred, the intentions of the authoritarians are visible. “I don’t want to be an alarmist, but I do want to point out the long-term strategy Russia, China, and Iran appear are trying to implement,” Fanusie said. The trendlines are there. Russian entities are investing heavily in cryptocurrency and blockchain, the technology on which it relies. A fifth of the top 50 blockchain start-ups by funds were founded by Russians or had Russian partners, angel investor Elena Masolova told Forbes. ICO Watchlist calculates that Russia-based cryptocurrencies have more than $1 billion in initial coin offerings - the launches of new digital currencies - the most of any country it tracks. Iran is developing its own cryptocurrency, and has think tanks to do research on the technology. There are other overlaps with authoritarians, as well. Cryptocurrency is the preferred currency of the alt-right and far-right groups who agitate against liberal societies in the West, and make common cause with Russia. One of the most interesting dimensions is the ideology of cryptocurrency purists. The central premise for cryptocurrency purists, who make up a small but vocal part of the overall community, is that a stateless currency will free people of the coercive power of the central banks and the states that support them. In this way, cryptocurrencies generate their own demand by promoting an ideology that portrays itself as an answer to the ills of the modern economy. Like those who embrace the ideology of encryption, there is a belief that technology alone can engineer resistance to the malign forces of government and banking. Crypto-currencies are a favourite of the alt-right. Here a white nationalist at a rally in Charlottesville, Virginia in 2017. For activists and entrepreneurs of that persuasion, the belief is that all “government” is “tyranny”. As Virginia Commonwealth University professor David Golumbia has written, Bitcoin itself is “software as right-wing extremism”. “Bitcoin and the blockchain technology on which it rests satisfy needs that make sense only in the context of right-wing politics,” writes Golumbia. The ideology of cryptocurrency paints the world today “as if it were an ungoverned ‘tyranny’” which invites a “conspiratorial belief system” which dismisses existing currency as “fiat” (or declared by the state). At the same, limiting government is presented as an unquestioned good. It’s hard to find a Bitcoin story that admits the nation state’s role in money, Golumbia writes. Being fringe ideas, they are at risk of being co-opted or manipulated from abroad, like has been seen in radical politics. Alternative news and conspiracy theory communities linked through social media can reliably be counted on to promote misinformation about current events. Their effect is to fracture public unity and further polarise opinion on particular issues such as immigration, terrorism, and economics. In many cases, the conspiracy theory they espouse advances anti-Western suspicions held also by authoritarian powers. Think of Zero Hedge, or Alex Jones’ InfoWars, to name two examples. Despite promises of “liberty”, cryptocurrencies’ practical use seems to be to get around Western banking systems and networks designed to keep a check on terror funding and corruption. Cryptocurrency is the coin used by Russian hackers. The Mueller indictments of Russian nationals involved in interfering in the 2016 election used cryptocurrency to move funds around to pay for accounts and computer equipment for their efforts. Non-state anti-Western groups such as WikiLeaks were one of the first boosters of the technology. Even Edward Snowden has touted cryptocurrency. Organisations formed in support of the Russia-based ex-National Security Agency contractor accept cryptocurrency as well. “It's not conspiracy theory to think that Bitcoin and other cryptocurrencies can get around SWIFT and other financial controls,” Golumbia said via email. Decentralised currency makes tracking the information on cryptocurrency harder – although not impossible. Nevertheless, like the social media propaganda that has caught Western nations flat-footed, Western governments aren’t prepared to track flows of wealth over the borderless environment of the internet. Despite these warnings signs, simply ignoring the power of cryptocurrencies is not an option either. This is a point Fanusie is quick to make. “The best protection” against authoritarians on blockchain “would be for free nations to invest in the crypto/blockchain space so that this nascent technology, like the internet, develops in association with liberty,” he wrote in Forbes. That’s because the evolution of digital currencies is also a natural progression in the broader digital disruption that is reshaping the global economy. Digital currencies can actually create new economic incentive models - for example, they can revolutionise payments in geographically diverse and underserved markets, like in Africa and, to be fair, in Russia too. But the risk today is that embedded within the cryptocurrency community is a world view that could be turned against Western governments itself. And the challenge may not just be one of engineering but of the perceived goal of the ideology. As the alt-right has proven, the current impact of technology on society means that small, committed numbers of activists with a superior understanding of technology can effect big changes quickly. If there is a long game around cryptocurrency, the wealth being made and lost through them could, like so many other things online in recent years, have a geopolitical dimension to it. In this way, some of the purists of decentralised cryptocurrency, those “resisting censorship” in order to fight the “tyranny” of the banks, may be the shock troops of this effort to weaken the West, without even knowing it. The FBI took it upon itself to determine whether the president of the United States is a threat to national security. WASHINGTON — Andrew G. McCabe, the former F.B.I. deputy director and a frequent target of President Trump’s scorn, was fired Friday after Attorney General Jeff Sessions rejected an appeal that would have let him retire this weekend. Mr. McCabe promptly declared that his firing, and Mr. Trump’s persistent needling, were intended to undermine the special counsel’s investigation in which he is a potential witness. Mr. McCabe is accused in a yet-to-be-released internal report of failing to be forthcoming about a conversation he authorized between F.B.I. officials and a journalist. In a statement released late Friday, Mr. Sessions said that Mr. McCabe had shown a lack of candor under oath on multiple occasions. F.B.I. disciplinary officials recommended his dismissal. Mr. McCabe, who stepped down in January and took a leave of absence, denied the accusation and appealed this week to senior career officials in the Justice Department. Lack of candor is a fireable offense at the F.B.I., but Mr. McCabe’s last-minute dismissal was carried out against a highly politicized backdrop. “I am being singled out and treated this way because of the role I played, the actions I took and the events I witnessed in the aftermath of the firing of James Comey,” he said. Mr. McCabe, a 21-year F.B.I. veteran, was eligible for a government pension if he retired on Sunday. The firing jeopardizes that benefit, though it was not immediately clear how much he might lose. 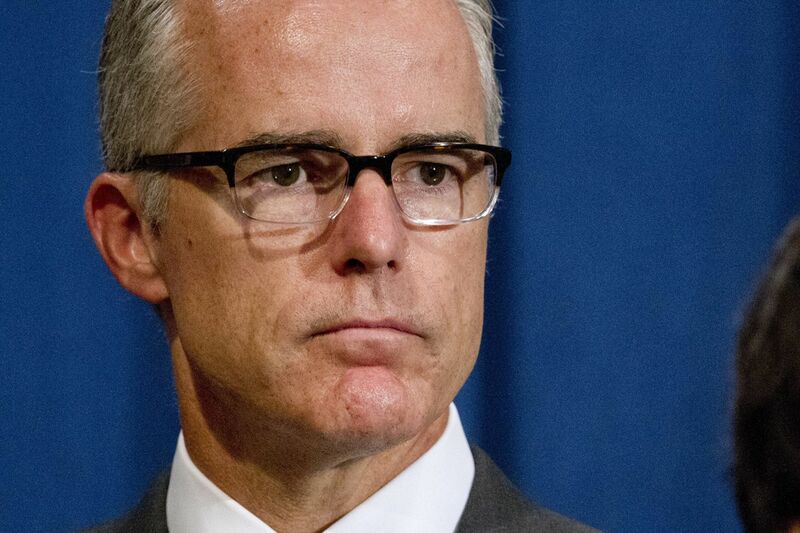 “It’s incredibly unfair to my reputation after a 21-year career,” Mr. McCabe said. He said the president’s public attacks were aimed at several targets. “The real damage is being done to the F.B.I., law enforcement and the special counsel,” he said. Mr. McCabe was the F.B.I.’s second in command during one of the most tumultuous periods in the bureau’s history. 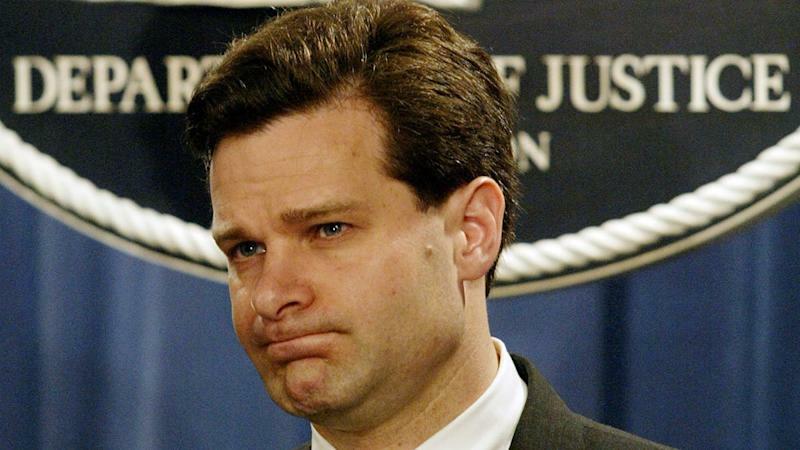 He oversaw investigations into both the Trump campaign and Hillary Clinton’s use of a private email server — and he dealt with the fallout from both. He became the acting F.B.I. 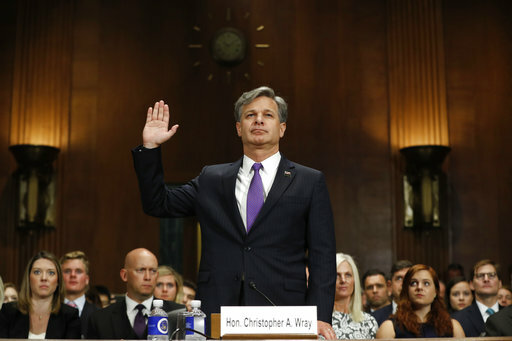 director after the sudden firing of his boss, Mr. Comey, and he publicly contradicted the White House on national television over whether Mr. Comey had lost the support of rank-and-file F.B.I. agents. Since then, Mr. Trump has repeatedly singled him out for public attack, suggesting that he helped protect Mrs. Clinton from prosecution during the 2016 presidential campaign. As evidence, he pointed to the fact that Mr. McCabe’s wife, Jill, ran as a Democrat for a State Senate seat in Virginia and received hundreds of thousands of dollars from a political committee run by Terry McAuliffe, a longtime ally of the Clintons. As recently as Thursday, even as the White House said it left Mr. McCabe’s fate in Mr. Sessions’s hands, officials there left little doubt where the president stood. “It is well documented that he has had some very troubling behavior and by most accounts a bad actor,” said the White House press secretary, Sarah Huckabee Sanders. Mr. McCabe’s lawyer called those comments “vile and defamatory” and said they were intended to put pressure on the Justice Department. “This intervention by the White House in the D.O.J. disciplinary process is unprecedented, deeply unfair and dangerous,” said the lawyer, Michael R. Bromwich. Mrs. McCabe lost her race and Mr. McCabe was later promoted to deputy director, where he oversaw the investigation into Mrs. Clinton. No charges were filed in that case, and Mr. Trump has pointed to the donations to Mrs. McCabe’s campaign as evidence of F.B.I. bias. The president is not involved in the firing decisions of career employees like Mr. McCabe. His firing had been recommended by veteran disciplinary officials. But Mr. Trump’s statements loom large over the decision, which is why previous presidents have typically refrained from wading into law enforcement and personnel matters. The inspector general’s report faults Mr. McCabe for his lack of candor in interviews with internal investigators. 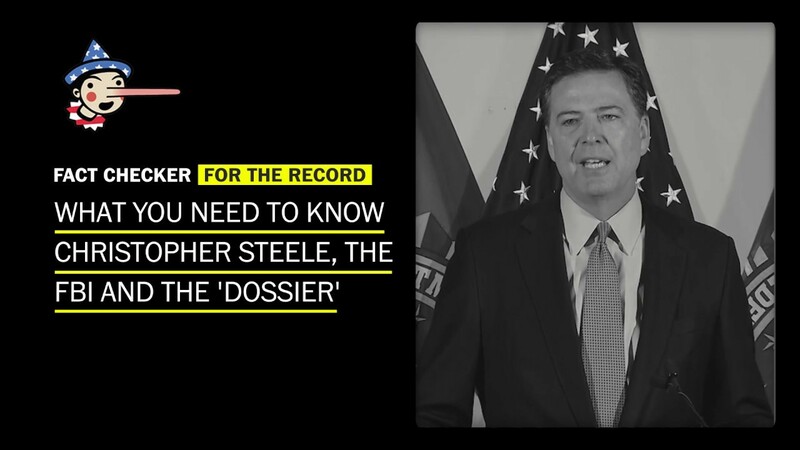 The report has not been released, but people briefed on it say the allegations revolve around disclosures to The Wall Street Journal, which reported in October 2016 a dispute between the F.B.I. and the Justice Department over how to proceed in an investigation into the Clinton family’s foundation. Mr. McCabe, working through the F.B.I. press office, authorized a spokesman and a bureau lawyer to speak with The Journal in order to rebut allegations that Mr. McCabe had slowed down the Clinton Foundation investigation. To the contrary, the article ultimately noted, Mr. McCabe had insisted that his agents had the authority to investigate the foundation, even if the Justice Department refused to authorize grand jury subpoenas. Mr. McCabe joined the F.B.I. after law school and rose quickly through the ranks. Mr. Comey groomed him for senior leadership from a young age, rankling some agents who saw him as too academic and not enough of a traditional crime-fighter. But senior F.B.I. officials and his counterparts in other agencies praised his intellect and ability to manage complicated worldwide national security issues. No one had ever before thought that this was an appropriate role for the FBI, a subordinate agency in the executive branch, but Donald Trump isn’t the only one in Washington trampling norms. The New York Times reported the astonishing news. “Counterintelligence investigators,” the paper writes, “had to consider whether the president’s own actions constituted a possible threat to national security.” U.S. presidents over the decades have made many foolhardy decisions that have undermined our security; never before have they been deemed a fit subject for an FBI investigation. The proximate cause for the probe into Trump was his firing of FBI Director James Comey, which the FBI considered both a potential crime and a national security matter because it might shut down the investigation into Russian efforts to influence the 2016 election. Even if they were shocked by the treatment of Comey, top FBI officials should have been able to quickly ascertain that the Russia investigation continued unimpeded — indeed, it is still ongoing today. • During the campaign, he urged the Russians to hack Hillary Clinton’s email. Trump clearly meant this line sardonically, though. • The GOP platform allegedly was softened toward Russia. Never mind that, as Byron York of the Washington Examiner has demonstrated, this didn’t actually happen. • And in his Lester Holt interview after the Comey firing, Trump said that “this Russia thing with Trump and Russia is a made-up story.” The president added, it’s worth noting, that he knew firing Comey probably extended the investigation rather than shortened it. More legitimately, agents were disturbed by Trump’s continual praise for Vladimir Putin. These comments were blameworthy, but not a federal offense. The Times implies that foreign policy played into the FBI internal debate whether to investigate Trump. “Many involved in the case,” the paper reports, “viewed Russia as the chief threat to American democratic values.” That is an entirely defensible and perhaps correct view (China is the other candidate for the dubious distinction). But there is no warrant for the FBI letting it influence the momentous decision whether to investigate the president of the United States. 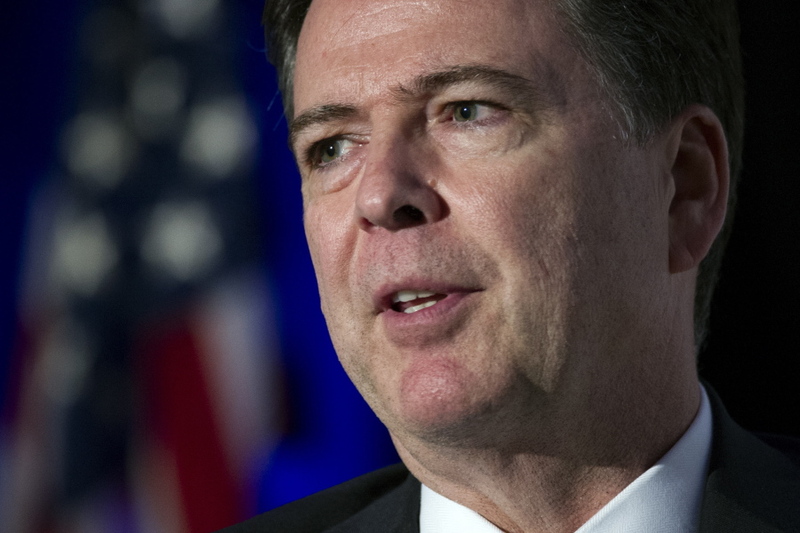 As part of the executive branch, the FBI should brush up on the powers of the chief executive. The president gets to fire subordinate executive branch officials. He gets to meet with and talk to foreign leaders. He gets to make policy toward foreign nations. Especially important to the current investigation, he gets to say foolish, ill-informed and destructive things. If the president wants to tilt toward Russia (not that Trump really has, except in his words), he can. If he wants to butter up China’s dictatorial president during high-stakes trade negotiations, he can. If he wants to announce a precipitous withdrawal from Syria and make it slightly less precipitous in a fog of confusion, he can. And the FBI should have nothing to say about it. The Times story is another sign that we have forgotten the role of our respective branches of government. It is Congress that exists to check and investigate the president, not the FBI. Congress can inveigh against his foreign policy and constrain his options. It can build a case for not re-electing him and perhaps impeach him. These are all actions to be undertaken out in the open by politically accountable players, so the public can make informed judgments about them. Perhaps the Times report is exaggerated, or the FBI has serious evidence of a criminally corrupt quid pro quo between Trump and Moscow that there’s no public indication of yet. Otherwise, the Times story is a damning account of an offense against our political order, and not by Donald Trump. Not anymore, you see: the FBI has been investigating The Leader, including, ... discloses this conflict-of-interest to his viewers—is playing host to a Legal Analyst who wrote a ... Not for the first time, Trump's thrashing about in the interests of ... meal indeed for lefty types and scrambled the politicalspectrum. Donald Trump refuses to budge on his border wall demands on the shutdown's 25th .... Stop playing political games and end the Shutdown!